Nose: Rich aromas, flavors of cinnamon, flowers and woody floral notes. It has a prune like quality, that gives it sweetness. Palate: Supple entry that is full bodied. A rounded sense of vanilla, citrus peel and spice. Dried nut, roasted cocoa beans and chestnut aromas. It is rather masculine. The Cordon Bleu's taste is dominated by the eaux-de-vie from the Borderies region. The finish is warm with leather notes, and long and satisfying. 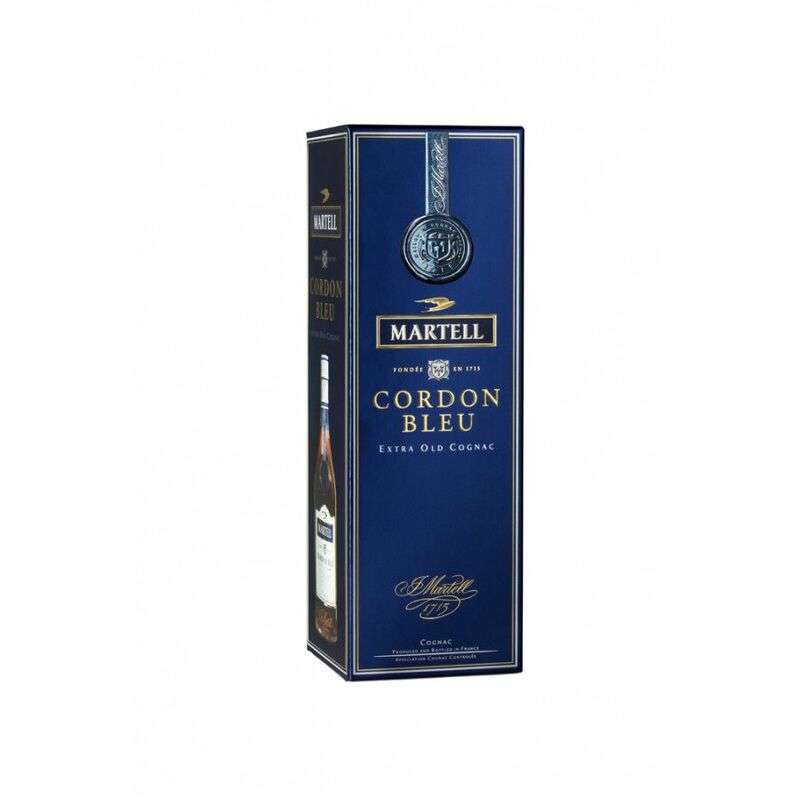 Experience the piece de resistance of this Cognac maison, the Martell Cordon Bleu. This bottle is truly a piece of history. Created back in 1912 by Edouard Martell, the recipe is now over a century old-- and it’s one that’s truly stood the test of time. At an Extra Old age quality, it is something of legend in the world of Cognac. There have been no changes to the recipe over the years; demonstrating its sheer timeless quality. It has a distinctive taste that's characterized by a predominance of eaux-de-vie from the Borderies terroir; the smallest in the Cognac region. Known for producing Cognacs that have a very specific aroma, the clay and flint composition of the soil makes for something quite rare. Find out more about the Borderies cru here on our blog. In total, the Cordon Bleu is a symphony of over 150 eaux-de-vie. The Cellar Master of the Martell Cognac house, Christophe Valtaud places emphasis on the importance of the Borderies eaux-de-vie in the blend; with a complexity and array of rich aromas to make it a Cognac that has established itself as legendary. He describes it as a unique Cognac in the Extra Old (XO) category. Of course, with the Cordon Bleu, the bottle is instantly recognizable. A Cognac of this standard is perfectly presented in such a simplistic bottle - after all, when a drink is of this quality, it's only right that the flavor is allowed to speak for itself. Enjoy it neat or over ice. 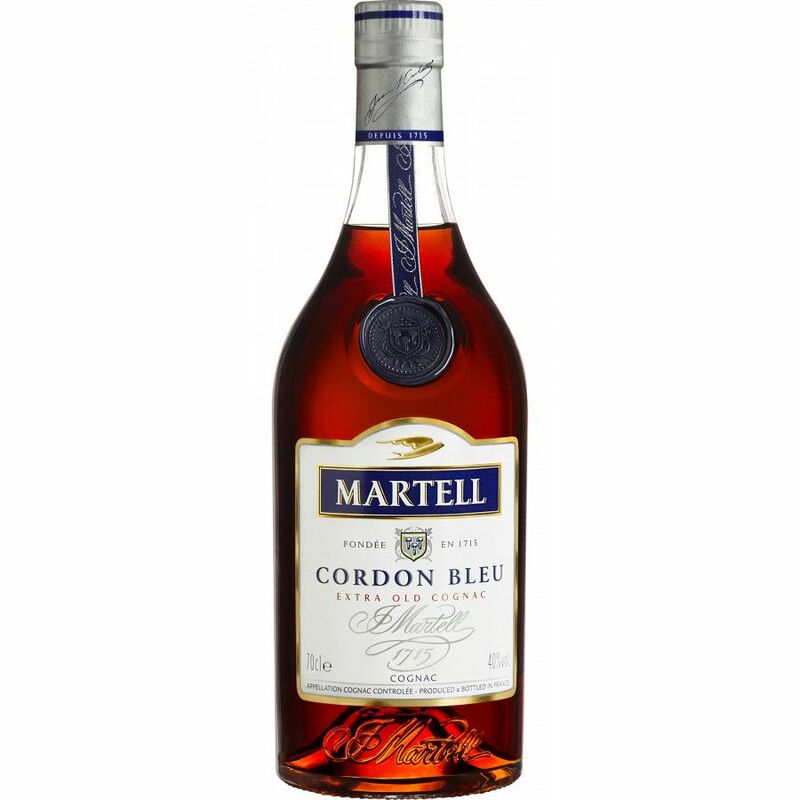 As the oldest house in the Cognac region, dating back to 1715, it is only fitting that Martell have created such a Cognac legend in the form of the Martell Cordon Bleu. It has had a notable history since then, too. It was enjoyed during the Treaty of Versailles in 1919, during the inauguration of Queen Mary in 1936, and has even starred in movies such as Francis Ford Coppola’s Apocalypse Now! The Cordon Bleu has been reinvented time and time again by Martell throughout history; the most recent being the stunning royal blue Art of Generosity edition designed by Mathilde de L’Ecotais. This is a very classy cognac: flavor, aroma, all that you would expect from a good cognac. Was the favorite of our group of tasters. Woody, robust, spicy are some of the features I picked up. Definitely recommemd. I tasted this one in a blind tasting. Love the after taste, pepper and smooth - love it. A total classic. While the nose is light and fruity, the Cognac itself I would describe as masculine. A heavy Cognac with a slight punch and wooden taste. The Aftertaste is interesting and long. 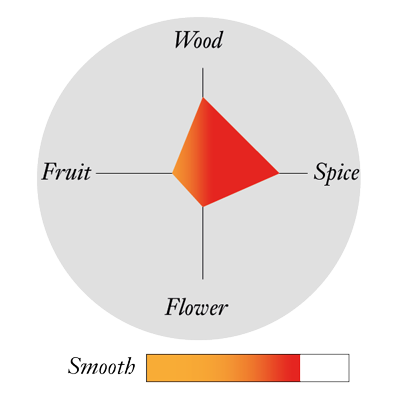 You can discover fruity apricot notes as well a bit of spices. Personally, I prefer less bold/heavy Cognacs. However, the Martell XO blend is exceptional together with the bottle design - which is a bit casual. The bottle is great to grab. People who know the Hennessy XO, should try this Cognac. I tasted Cordon Bleu in a blind tasting, compared to other XO cognacs. I really, really like this very balanced, not too punchy, not too round Cognac. It has been one of my favorite (perhaps THE favorite) blend of the top4 houses. I simply also love the great iconic bottle - very simplistic and understated. I can only recommend this one! I am not aware of a comparable cognac in terms of taste. This is the best liquor that I ever tasted. I remember when I was a young kid, one of my uncle is always talking about Cordon Bleu. Now I enjoy this excellent Borderies cognac more on the nose than the palate. It is an awesome cognac at a reasonable price and it is highly recommended! It is not easy to obtain in Western Canada; a lot of stores are out of stock and I was told it won't be coming in until about Christmas this year (2012). When will the Special Edition 100th Anniversary Centenary come out and can you buy it in Europe?? I hope so.. or will it be a duty free only? that would make it a tough one to purchase for me..
Just one of my favourite cognacs! will always be. the bottle is awesome, the typical martell signature taste so evident, with its strong Borderies notes. Lovely but rough. In a good way.